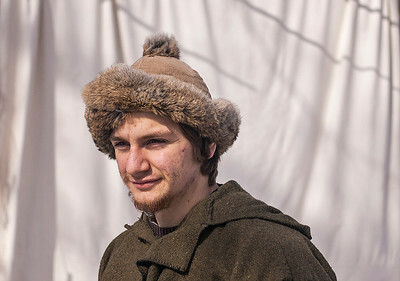 Kyle Grillot - kgrillot@shawmedia.com Jon Cunningham of Woodstock waits for the next tour to come to his station during the annual Festival of the Sugar Maples at Coral Woods Conservation Area Saturday in Marengo. 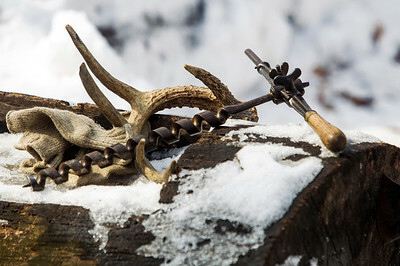 Kyle Grillot - kgrillot@shawmedia.com An old auger used for drilling holes into trees sits on display at one of the stations during the annual Festival of the Sugar Maples at Coral Woods Conservation Area Saturday in Marengo. 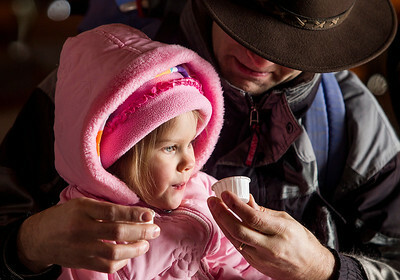 Kyle Grillot - kgrillot@shawmedia.com Chuck Ruehl of Ingleside gives his daughter Lydia, 3, a sip of maple syrup during the annual Festival of the Sugar Maples at Coral Woods Conservation Area Saturday in Marengo. 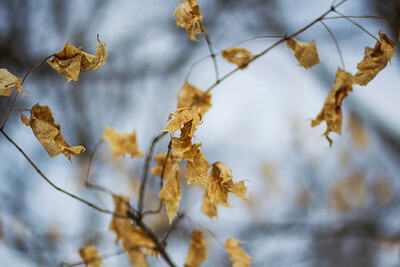 Kyle Grillot - kgrillot@shawmedia.com Dried leaves cling to their branches during the annual Festival of the Sugar Maples at Coral Woods Conservation Area Saturday in Marengo. 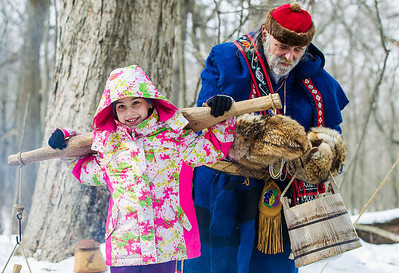 Kyle Grillot - kgrillot@shawmedia.com Jerry Martin, dressed as an Anishinabe Native American demonstrates how maple sap was collected with the help of Monique Addison of Aldon-Hebron, 10, during the annual Festival of the Sugar Maples at Coral Woods Conservation Area Saturday in Marengo. 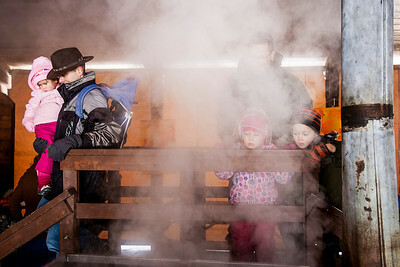 Kyle Grillot - kgrillot@shawmedia.com Chuck Ruehl of Ingleside and his daughter Lydia, 3, listen to a volunteer explain the workings of an evaporator room during the annual Festival of the Sugar Maples at Coral Woods Conservation Area Saturday in Marengo. 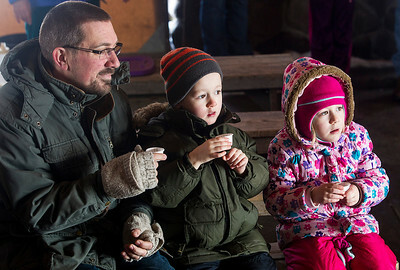 Kyle Grillot - kgrillot@shawmedia.com Brian Weidner and his twins Noah and Natalie, both 5, wait to sample maple syrup during the annual Festival of the Sugar Maples at Coral Woods Conservation Area Saturday in Marengo. 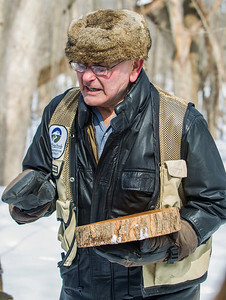 Kyle Grillot - kgrillot@shawmedia.com Warren Spencer of Crystal Lake demonstrates various aspects of extracting maple syrup during the annual Festival of the Sugar Maples at Coral Woods Conservation Area Saturday in Marengo. 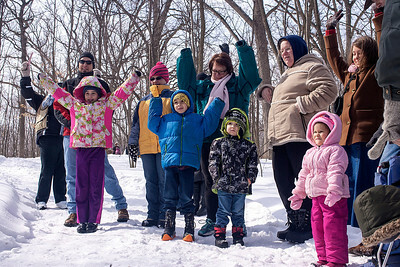 Kyle Grillot - kgrillot@shawmedia.com A group of participants demonstrate the different shapes of trees during the annual Festival of the Sugar Maples at Coral Woods Conservation Area Saturday in Marengo. 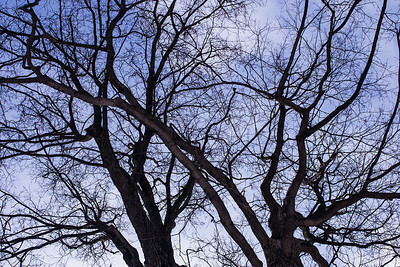 Kyle Grillot - kgrillot@shawmedia.com Two maple trees along the path during the annual Festival of the Sugar Maples at Coral Woods Conservation Area Saturday in Marengo. 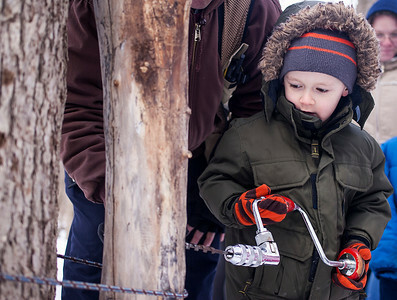 Kyle Grillot - kgrillot@shawmedia.com Noah Weidner, 5, of Wauconda is helped to drill a hole into a log during the annual Festival of the Sugar Maples at Coral Woods Conservation Area Saturday in Marengo. 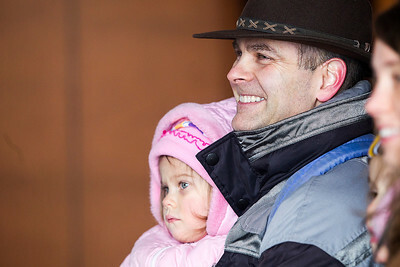 Kyle Grillot - kgrillot@shawmedia.com Chuck Ruehl of Ingleside carries his daughter Lydia, 3, through the evaporation room during the annual Festival of the Sugar Maples at Coral Woods Conservation Area Saturday in Marengo. Chuck Ruehl of Ingleside and his daughter Lydia, 3, listen to a volunteer explain the workings of an evaporator room during the annual Festival of the Sugar Maples at Coral Woods Conservation Area Saturday in Marengo.